In thinking about the $345M EvergeenHealth 20-year bond, I can accept a need for seismic updates, a new critical care unit and enhanced maternity center but why couldn’t they tease out a million dollars for psychiatric care for which we have none? A million dollars could pay for an out-patient psychiatric clinic in one or more key district cities like Kenmore. Overhead for these clinics are lower than urgent care facilities which need expensive equipment like ultrasound and more extensive infrastructure. Full service psychiatric nurses can perform just as a psychiatrist but at half the cost. Evergreen has significant revenue and should be able to pay for these nurses, just as they do for nurses at their urgent cares. It appears, money spent enhancing the maternity center (which we already have) makes the $345 bond more palatable than mental health care. This saddens me. One in five Americans have a mental health condition according to the National Institute of Mental Health. As our community hospital, EvergreenHealth should take care of them. All said and done, I will vote "YES" on Proposition 1 because I feel the expense is very low considering all that we are getting; and I want to support our community hospital. As for the LWSD Capital Bond Levy, I will be voting "YES" for all the right reasons. My only concern is about the money we are dumping into 11 of our schools for geothermal heating. Yes, geothermal a wonderful thing but the payback period is 35 years for a 75-year school. I wish I could be more excited about paying for all these valuable improvements coming to our schools and the hospital. In voting "YES" on both measures I feel our quality of life significantly moves our community forward during these critical times. Please vote. On King County's "Localscape" I ran the numbers to find my 2019 tax on the LWSD and Hospital measures, Simply enter your address. Also, find your 2019 taxes for the library, sound transit, port, flood control, city, county and other jurisdictions. Based on 2018 property values, the LWSD Capital Bond Levy would cost me $196.04. Based on 2018 property values, the EvergreenHealth Proposition 1 Bond would cost me $121.68. My current 2019 property tax is $197. (Current capital bonds debt retirement is $60.77.) Thus, my total EvergreenHealth tax for 2019 after Proposition 1 is $318.68. If you have questions call Laurene Burton at 425.899.2667. Warm weather is coming, and so is the potential for tragedy. It can happen quickly, even under parent supervision, an open window and a child leaning outside. Metropolitan King County Councilmember Kathy Lambert, a member of the King County Board of Health, was joined today by first responders and medical professionals to point out how easy steps can prevent a life-altering tragedy. Kathy Lambert is our Redmond representative. Harborview Medical Center has had to traditionally prepare to treat up to 50 children who fall out of open windows every spring and summer; we want to prevent these tragedies. Just this month, a child who fell six stories was being treated at Harborview after surviving the fall. Using a window stop, that when installed, prevents windows from opening more than four inches, thereby prohibiting a fall from occurring. Keeping furniture, including cribs and beds, away from windows. If you can open your window from the top, do it—and always be sure to lock your windows when not in use. Make sure that all adults are aware of window safety. “Each year, almost 5,000 children are seriously injured from falling through an open window across the country. Bringing together lawmakers, medical professionals, and first responders is crucial in order to tackle this issue head-on." THE CITY REMOVED PICTURES FROM OF ALL THEIR MAJOR OUTDOOR ART FROM THE WEBSITE. Are they embarrassed by it? Do you know we have to spend $1M to move the "ERRATIC" away from the light rail line? Dr. Amy E. Beiter, the new CEO of EvergreenHealth, gives a tour through the hospital to point out improvements from the previous bond and learn what's ahead should the 2019 bond pass. It's well worth a listen! The bond will pay for extensive seismic upgrades, a new critical care unit, and a enhanced family maternity center. The proposed ballot measure will provide $345 million over 20 years, which translates to an average of $0.18 per $1,000 of assessed home value per year over the life of the bonds. Thus, a homeowner of a $700,000 home in EvergreenHealth’s district would pay an average of $10.50 per month, for a total of $126 per year over the life of the bonds. A $500,000 home would pay $91/year. Redmond, WA – For several years, the City has encouraged the private sector to play a more significant role in place-making through the provision of public art in private developments. However, the code requires some clarification to make the process easier for developers and the City to administer. The City is seeking input from all community members, developers doing business or interested in doing business in Redmond, and artists. Several in-person group discussions, an online presentation and poll, and opportunities to meet with staff one on one will take place in April. These activities help the City better understand the community’s thoughts about the definition of public art, the process for reviewing privately developed public art, and how best to administer the in-lieu fund for public art. “We are excited that many developers are already coming in with proposals for public art incorporated into their projects.” said Carolyn Hope, Park Planning and Cultural Arts Manager. Please join one of the group meetings for an in-person discussion at Redmond Community Center at Marymoor Village, Room 206 on April 15 from 6:30 to 8:00 p.m., April 16 from 7:30 to 9:00 a.m., and April 19 from 11:30 a.m. to 1:00 p.m.
April 23rd, 2019 Special Election: "One of the most critical components of the April 23rd, $345 million initiative are extensive seismic upgrades to the oldest areas of the original hospital built in 1972. While all facilities meet the building codes that were in place at the time of their construction, retrofitting those areas to today’s most advanced seismic standards will enable EvergreenHealth to remain a viable resource in the event of a catastrophic earthquake. Given the medical center campus’ geographical location, EvergreenHealth is slated by experts to be the most viable and accessible option for medical care after a catastrophic earthquake in the region. A second component of the initiative is a modernized Family Maternity Center. 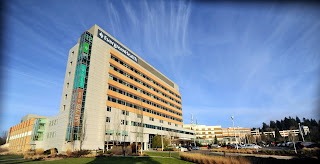 Planned renovations include redesigned rooms to better accommodate families and provide space for advanced equipment and technology, an optimized layout that increases efficiency for provider teams, and an updated entrance and OB emergency department to offer a more comfortable environment for patients in early labor. Expanding the Family Maternity Center will also accommodate more families and laboring mothers. The third feature is construction of a new Critical Care Unit (CCU) and relocating it to EvergreenHealth’s Silver Tower. Relocating the CCU to the third floor of the Silver tower will position it near other specialties that often coordinate with critical care providers, while also enhancing patients’ and families’ experience during their stay. The proposed ballot measure will provide $345 million over 20 years, which translates to an average of $0.18 per $1,000 of assessed home value per year over the life of the bonds. 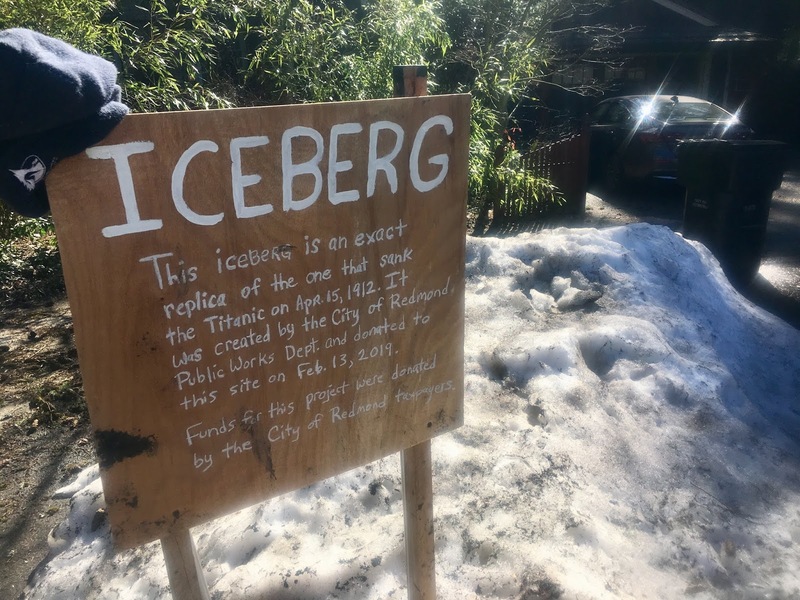 Thus, a homeowner of a $700,000 home in EvergreenHealth’s district would pay an average of $10.50 per month, for a total of $126 per year over the life of the bonds. A $500,000 home would pay $91/year. To see the April 23rd Special Election ballot measure, "read more." Lacrosse season is underway! - register now. We serve players from Kindergarten to 12th grade who reside in the area served by Redmond High School in Redmond, WA. Registration is now open for Spring of 2019. 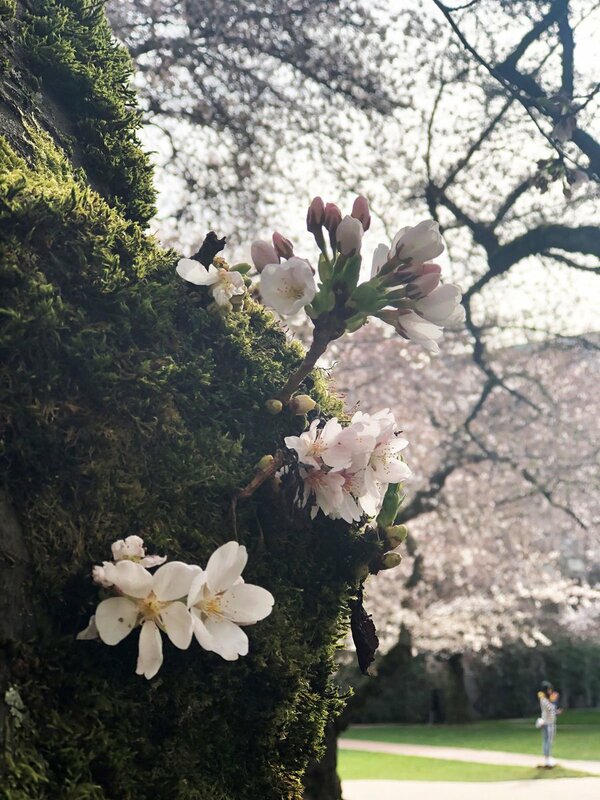 Spring has sprung at UW ! Looking back: Sound Transit contractor crews have been hard at work on the Bel-Red/130th Station segment. In 2018, this mile-long section of East Link has completed a number of underground utility milestones to prepare for construction above ground this year. Over the last year, construction activities largely focused on aerial guideway construction and building or updating underground utility systems. This includes the relocating existing services like sewer, telecommunications, gas and power. "The average payback time for our geothermal systems is about 30 years into a 75 year lifetime of the building." -- Shannon Parthemer, District Communications and Community Engagement Director." -- Project Manager, Juanita project. The Pros & Cons of close-looped geothermal heating, by Jifayalazm Kinhal, ecologist. 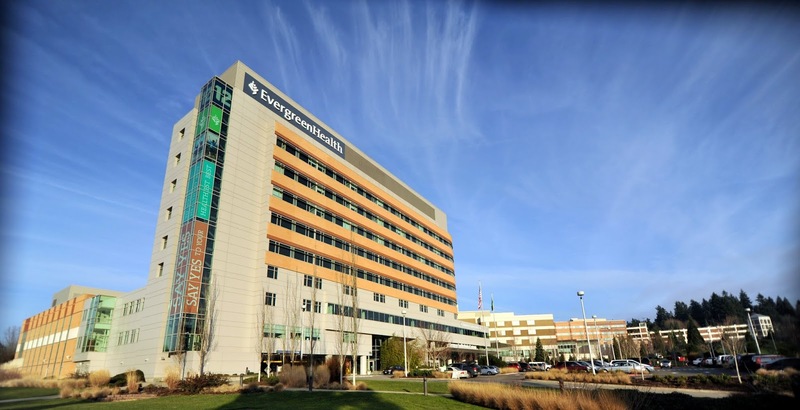 Kirkland, Wash. – EvergreenHealth recently launched an initiative that, with community support, will strengthen and expand the health system’s Kirkland medical center to help meet the growing health care needs of the community. The initiative, “EverHealthy,” is part of the health system’s 10-year Master Facilities Plan, which seeks to ensure that the growing number of families within the public hospital district can continue to count on safe, quality care within their community well into the future. The enhancements provided by EverHealthy – including upgrades to facility safety and disaster readiness; a new and relocated Critical Care Unit; a modernized Family Maternity Center; and infrastructure and technology and upgrades – will be funded by a $345 million 30-year bond that the community will have an opportunity to vote on in April. Education Hill Neighborhood Association will be presenting a series of topic-based forums of interest to Eastside residents. These forums will be held at First Baptist Church of Redmond (16700 NE 95th Street, Redmond, WA 98052). Parking available for all forums in the north lot. King County council member Kathy Lambert will present information about the Growth Management Act. Forum will begin at 7:00 pm in the Auditorium. The first of our Candidate forums for the 2019 Election Season! 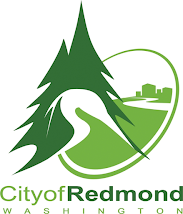 Candidates for the office of Mayor for the City of Redmond, WA will answer questions and talk about their campaign topics. This will be a Q&A forum (not a debate); moderated questions and time for questions from the audience. All Candidates will be invited. Note: not all candidates have filed with the PDC as of this posting. "The District requests voter approval of a Capital Projects levy to enable the district to pay for safety and security measures and critical classroom needs not funded by the state and needed to meet current and future educational programs for its students. The district has grown by over 6,000 students in the last 10 years and expects to enroll 2,000 more students by 2022. These funds would be deposited in the Capital Projects Fund to pay for district-wide safety and security improvements; classroom additions at Lake Washington High School, including an auxiliary gym and commons; classroom additions at Carson, Franklin, Rose Hill and Twain Elementary Schools, including expansion of core facilities. Passage of this proposition would allow a levy of $20 million per year over the next six years. If authorized by the voters and based on current assessed valuation information, estimated levy rates would be an average of $0.27 per thousand of assessed valuation beginning in 2020. This amount will be offset by a reduction in the debt service levy rate due to past bonds being paid off. The exact levy rate shall be adjusted based upon the actual assessed value of the property within the District at the time of the levy." Further information is available in this short video and the district’s levy website. Exemptions from taxes may be available to homeowners who are 61 or older, or disabled, and who meet certain income requirements. For more information, call the King County Department of Assessments 206-296-3920.
on property assessed at $700,000 = $189/year. Then, one month later Puget Sound experienced the warmest March high temps in 125 years! I took this picture on Tuesday, March 19th, 3pm when it was 78 degrees, the pinnacle of our heat spike. As of today, it's still floating. OPINION: The Lake Washington School District Central Leadership Team and some administrator salaries are too high; the end result, our students and educators are somewhat impacted by misuse of these public funds. The new LWSD "Communications and Community Engagement" Director of less then two years, is paid a flat $169,285 per year. In my opinion, this is excessive. The Mayor of Redmond (and CEO) is paid less than $138,000 and he doesn't get summers off. Looking at the district's Central Leadership Team Organizational Chart and a Board meeting packet, 16 Directors earn $169,285/yr and 9 Associate Directors earn $153,330/yr....all on flat salaries with no low or high ranges. It's my thought, Director salaries should be on a sliding scale based on performance and experience. Keep in mind, school business slows or ceases in many departments when school is out ... for example "Communications and Community Engagement"...not much engagement then. In my opinion, Barbara Posthumus, the district CFO and "Associate Superintendent of Business and Support Services" in underpaid. She appears to be the point person in the community during levy and bond measure proposals. What could be more valuable? Dr. Jon Holmen, the Deputy Superintendent oversees five Directors who play a key role in the Administration. His Directors are invaluable and underpaid. They bridge the schools with the Central Central Leadership Team, and oversee all the principals. According to School Board member Cassandra Sage, Dr. Holmen's Directors are required to be in the schools 2.5 days per week. Director Matt Gillingham runs "Student and School Support Services." I first met Matt during Truancy Board training. Mr. Gillingham is responsible for student safety, social-emotional well-being, mental health recovery, bullying issues and also oversees the athletic department. He should be paid more than a Director. Superintendent Jane Stavem is the CEO of the third largest school district in the State; the district is growing at the pace of one new elementary school per year. It's my understanding, Dr. Stavem is already bringing efficiencies by streamlining the Administration. Dr. Stavem will hopefully learn the capabilities and assets of her workers to rank and pay them accordingly. Paying flat salaries doesn't encourage innovation or reward those who produce. Low-median-high salary ranges would keep turnover low to retain valuable workers and attract others.